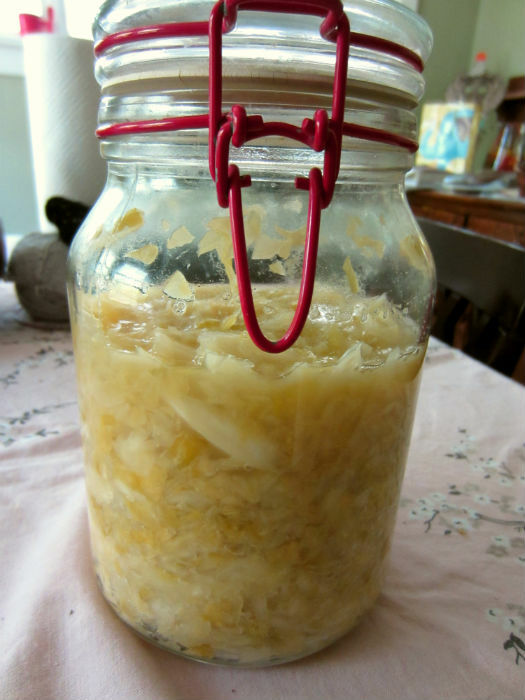 With all the fun fermenting talk that’s been going on around here, I felt like I would be remiss if I didn’t talk about sauerkraut. When I was about seven years old, and my dad was between jobs, my family stayed with some relatives for a couple of months who lived on Sauerkraut Lane. I was told, in that teasing way adults have of speaking to young kids, that living on Sauerkraut Lane, I had to like sauerkraut, or at least try it. I, like most seven year-olds, refused to try it and insisted I wouldn’t like it. At some point, they did trick me into trying it. Whatever kind of sauerkraut it was I ate back in 1992, it came from a can, and I gave it two thumbs down. 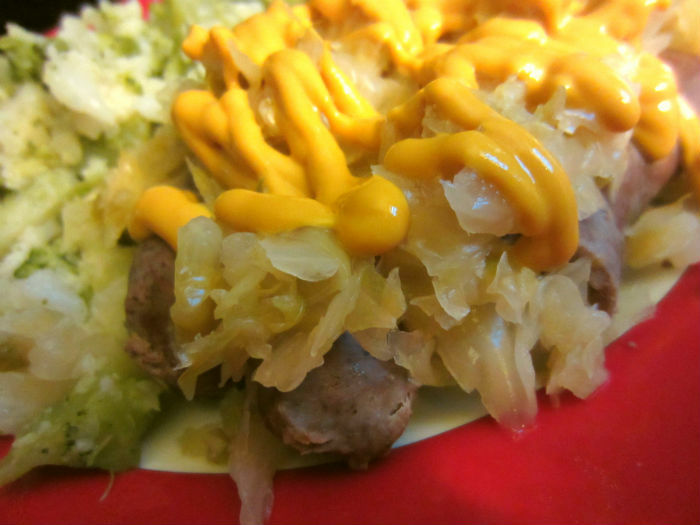 I probably didn’t try sauerkraut again until I was in my twenties, but when I did, it was fresh-not-canned, and it was so different from what I remembered it being. 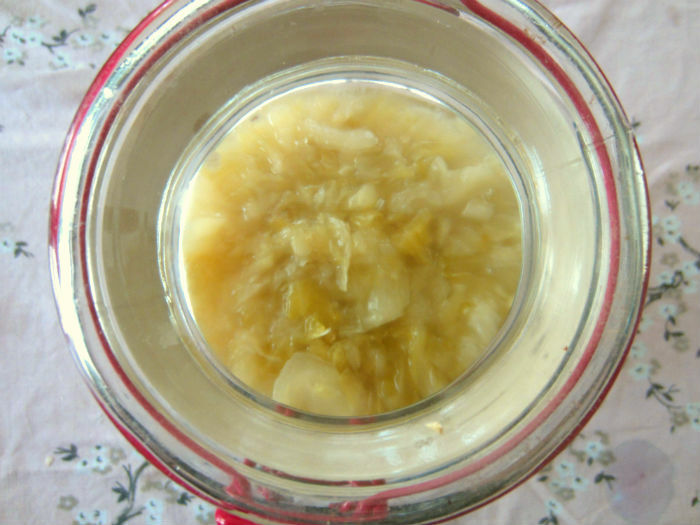 For a long time I bought Bubbies sauerkraut, but at $6 a jar, making my own is so much more economical. 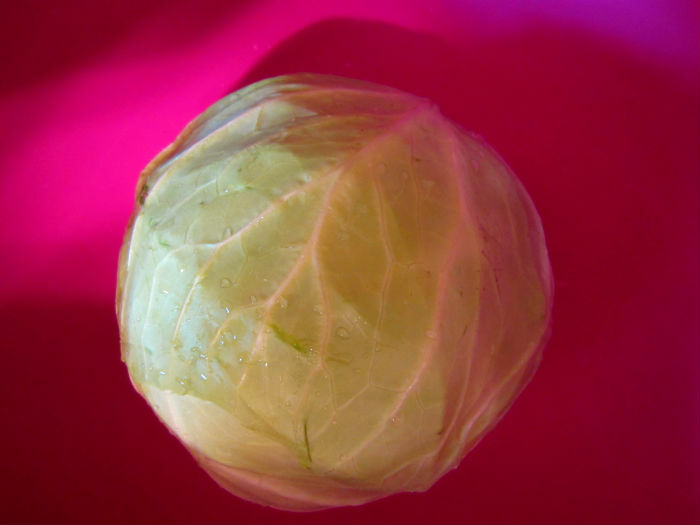 The last head of cabbage I bought was 75 cents. Cabbage plus a little bit of sea salt is all you need to make it. 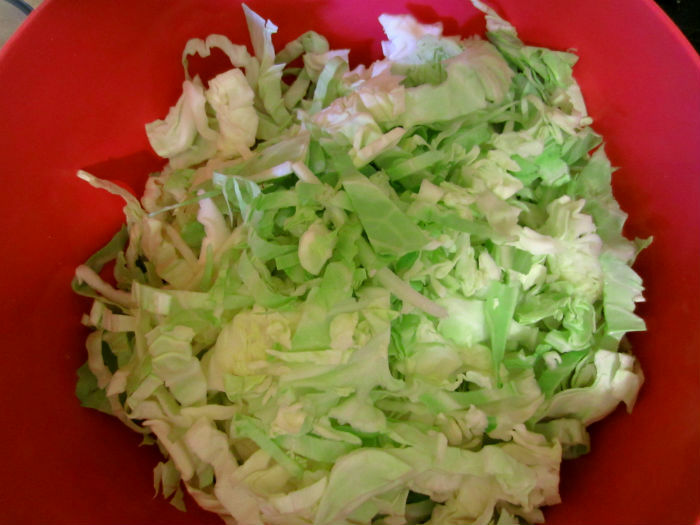 Just shred a head of cabbage, and grind some sea salt over it. Then spend about ten minutes squishing the salt in the cabbage and grinding it with your fists. It’s the best excuse ever to play with your food. Enjoy it. It will eventually become limp and watery, which is what you want. Then pack it down into a jar. This one is two quarts. 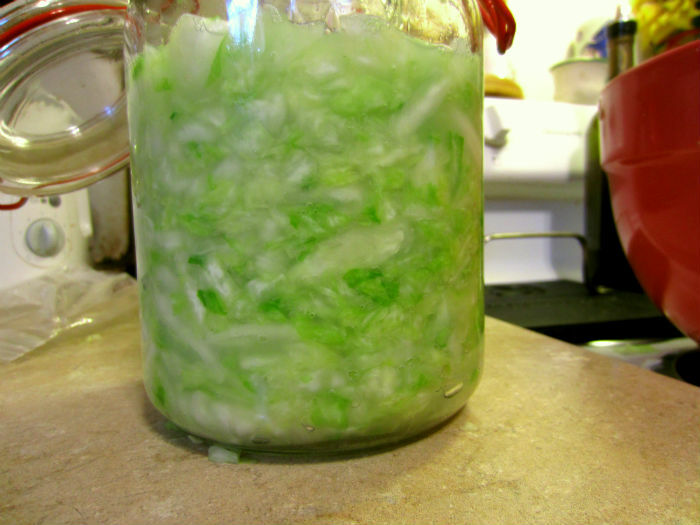 And put a jam jar in the top to tamp the cabbage down below the water that came out when you were grinding the salt into it. You’ll want to keep the cabbage leaves below the water level. Let it sit in a cool, dry, dark place for about 3 to 10 days, tamping the leaves down below the water line a couple times a day. After three days, start tasting it to see if it’s done. This batch was done after four days. Then put it in the fridge to stop the fermenting process. Then eat it, and be happy. I had some just the other day over these beef brats from a local ranch, but I will also just eat it from a bowl for a snack or as a side. Do it. Your guts will thank you.